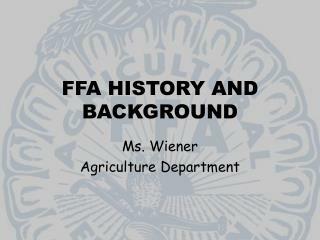 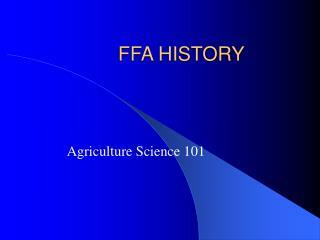 This is a simple ppt on important dates in FFA history. 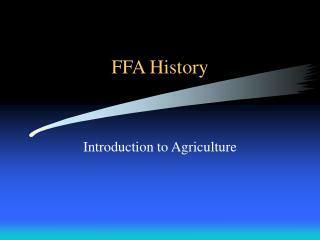 The History of the FFA -. 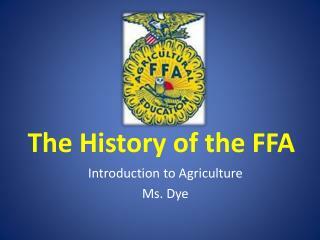 introduction to agriculture ms. dye. 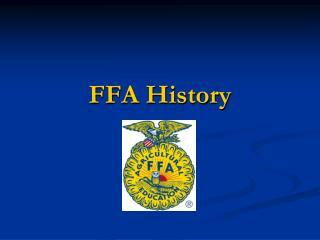 major historical events. 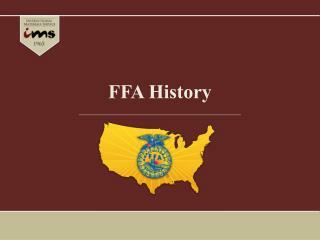 1928 future farmers of america was founded and the first national ffa commenced with 33 delegates from 18 states. 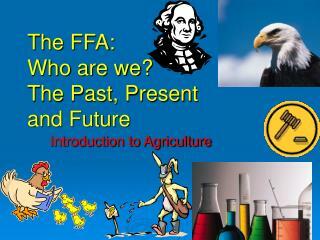 1930 the ffa creed was written by e.m.
History of the FFA -. 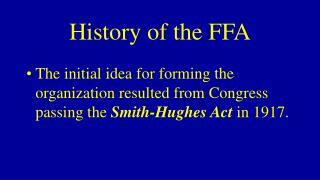 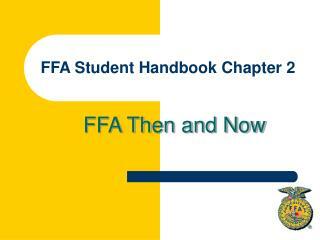 the initial idea for forming the organization resulted from congress passing the smith-hughes act in 1917. history of the ffa. 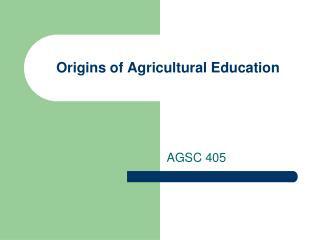 this act was known as the national vocational education act. 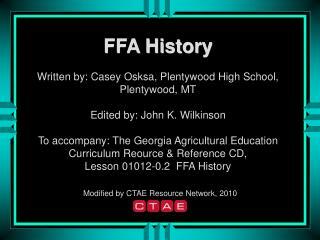 established agriculture classes. 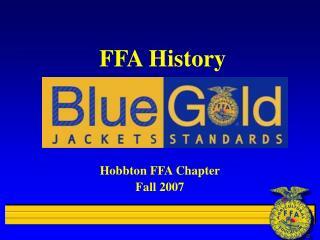 FFA Creed History & Purpose -Ffa creed history &amp; purpose. 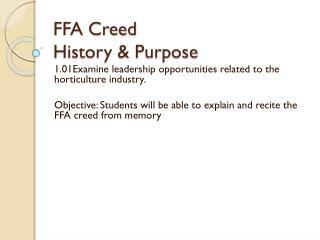 1.01examine leadership opportunities related to the horticulture industry. 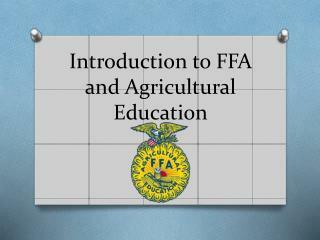 objective : students will be able to explain and recite the ffa creed from memory. 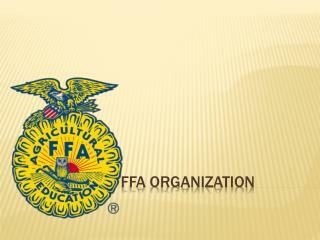 important dates. 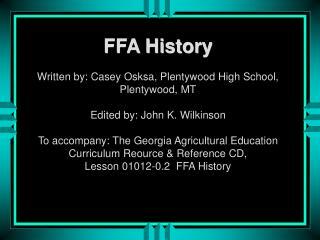 FFA History -. 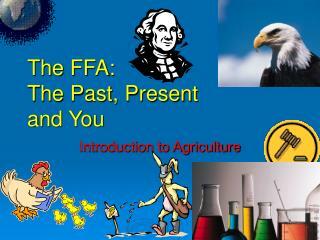 introduction to agriculture. 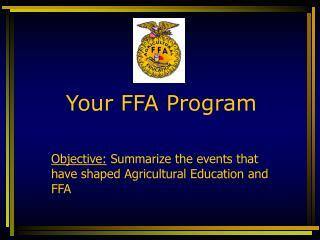 student learning objectives. 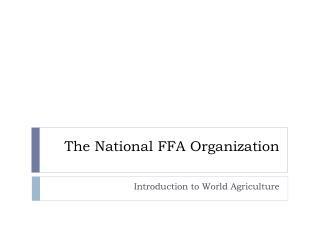 1. explain how, when, and why the ffa was organized 2 explain the mission and strategies, colors, motto, parts of the emblem, and the organizational structure of the ffa.